An ideal start to your daily facial routine, this entirely natural face wash will gently cleanse your pores and leave your face gently scented with hints of lemon and vetiver. Produced as part of the new naturals range for D.R. Harris, this product is suitable for all skin types and ages. 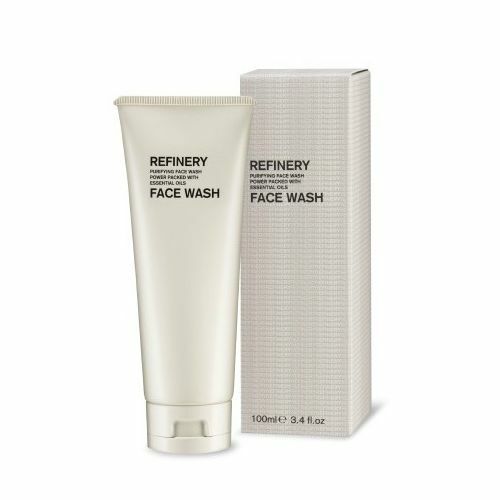 Cleanse your face with this uplifting and refeshing face wash that has been formulated with 100% natural ingredients. Suitable for the most sensitive of skins, D R Harris Lemon & Vetiver Face Wash is gentle yet effective. The pores appear more refined, blackheads are reduced and the skin is left matt and shine-free. D R Harris Naturals Face Wash is non-drying and leaves the skin nourished and hydrated. Massage D R Harris Lemon & Vetiver Face Wash onto the skin with a little warm water. Rinse. Leave it on the skin for 60 seconds before rinsing. This will enhance the cleansing effect.